We’ve all known it for nigh on 44 years, but here, for anyone who might have had even a shadow of doubt, is the ultimate proof that Leeds United were robbed of their rightful European Cup triumph in Paris way back in 1975. A glance at the photograph above, which captures the moment that the ball flew off the right boot of Peter Lorimer (arrowed), past German international keeper Sepp Maier and into the Bayern Munich net, clearly shows that Billy Bremner, who had been pushed into a marginally offside position, was way out of the line of sight between Maier and Lorimer. So it was impossible that Bremner was interfering with play and, by any interpretation of the laws then or now, the goal should have stood. The goal was disallowed, of course, only after the insistent intervention of Bayern captain Franz Beckenbauer, a player noted for his habit of pressurising and influencing match officials. Beckenbauer had also been involved in a first half penalty claim for Leeds, scissor tackling Allan Clarke in the Munich area. It was the clearest penalty you could possibly wish to see, the type that even one of today’s Football League referees would have been hard pressed to deny Leeds. There was another penalty claim in that first half too, Beckenbauer involved again when he seemed to handle the ball on the ground inside his own area, but referee Michel Kitabdjian, may his name be cursed for all eternity, blithely waved both appeals away. Leeds United fans on the night expressed their displeasure and sense of injustice in the most violent manner, resulting in a subsequent European ban for the club. It was a night, to quote a distinguished American president on the occasion of Pearl Harbor “that will live in infamy” – and, believe me, in a football context, given the scale of the injustice and the prestige of the trophy at stake, that oblique comparison does not seem invalid. Subsequent interviews and retrospectives have been interesting in that there has not been much evidence of the Bayern players in that final disputing the injustice that took place. If anything, they tend to hold their hands up and acknowledge that their triumph was a mixture of luck and larceny – Leeds were robbed, not only of that big, beautiful trophy, but also of European Cup qualification the following season. Uli Hoeness, the great Bayern forward, was once interviewed and asked about 1975. In his own words, he said that the result was a travesty. The better team lost and they lost for no other reason than the performance of the referee. That’s cold comfort four decades on, but it counts for a lot in any debate about the fairness or otherwise of the outcome that night. I remember the Final well, it was a shattering experience for a 13 year old kid who was dreaming of seeing former manager Don Revie‘s great team put the seal on their immortality. And it was just as devastating for the White Army who followed United to Paris – they deserved better than a tawdry con trick, especially after they’d witnessed their heroes being robbed of another European trophy two years earlier in Salonika – take a bow Christos Michas, another spectacularly bent UEFA referee. 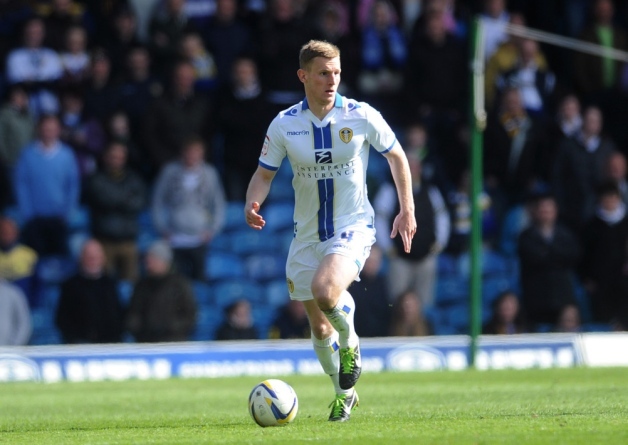 It makes you wonder – has any other club been blagged quite as often and quite as lavishly as Leeds United? We all know the answer to that. But all this time later, we still hold our heads up high, knowing that the proof is out there and that, morally at least, we have two more European trophies than the record shows. Some of us will be campaigning to our last breath for UEFA to recognise this, retrospectively award us our trophies, and set that official record straight. The FA Cup is undoubtedly the premier competition of its type in the world, despite the fact that it may have been marginalised by leading Premier League clubs since the advent of the lucrative European Champions League. Its history can be traced back over 140 years of football and it continues to deliver thrills, spills and excitement to this day. There are some clubs that have a greater affinity with the competition than others, however, with Leeds United providing an example of a team that has lived through both heartache and triumph in the pursuit of cup glory. After their heroic exploits at the turn of the century when Leeds reached the dizzying heights of the European Champions League semi-finals, few would have expected the club to by plying their trade in League One less than a decade later. This, though, was the situation that Leeds United found themselves in during 2010, as they headed to Premier League champions Manchester United for an FA Cup third round tie. Despite being huge underdogs and with 9,000 travelling fans providing fanatical backing, yet fearing a thrashing at the hands of their bitterest rivals, Leeds pulled off one of the proudest moments in their cup history as Jermaine Beckford’s first half goal was enough to send Man U to their earliest exit from the competition since 1984. 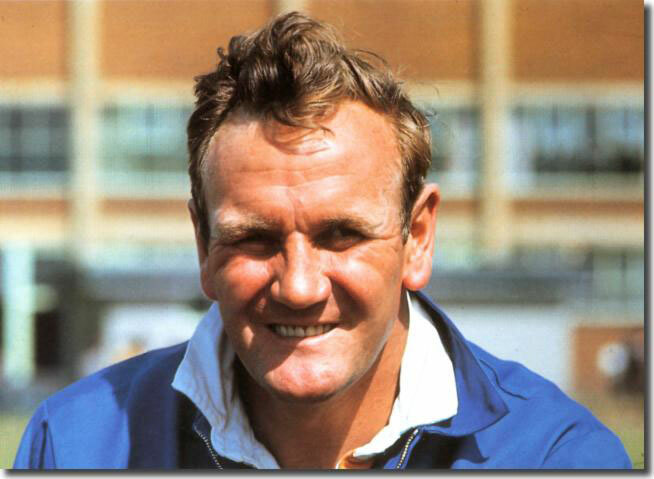 In 1971, Leeds United were on the way to becoming the best and most combative team in the English League under the managership of Don Revie. Hailed far and wide as “Super Leeds”, the Whites were therefore overwhelming favourites when they visited an ageing, lower league Colchester side for the fifth round of the FA Cup in February, 1971. Nicknamed ‘Dad’s Army’ by the press, few gave the home side a chance but a brace from striker Ray Crawford and a deceptively narrow pitch, together with some typically bizarre goalkeeping from Sprake, helped Colchester earn a stunning 3-0 lead early in the second half. Although Leeds recovered with two late goals, they eventually lost 3-2 as Colchester recorded a significant act of an FA Cup giant killing. From the ridiculous low of their defeat at Layer Road the previous year, Leeds United recovered admirably to beat the cup holders and the previous seasons’ double winners Arsenal and lift the cup at Wembley in 1972. The game was a hard-fought and at times brutal affair, but it was decided by a flash of brilliance and what has to be the finest moment in Leeds United’s outstanding cup history. Allan Clarke was the match-winner, as he dived at full length to head home Mick Jones’ accurate cut-back. Although Leeds United were to fall victim to another act of giant-killing against Sunderland in the following years’ final, nothing could dampen the enthusiasm surrounding the clubs’ first and, to date, only FA Cup win. These are just three historic moments in a long history of FA Cup football for Leeds. Perhaps you have different favourites – it would be interesting to hear from you with your own FA Cup memories of Leeds United. On the occasion of former United stalwart Kevin Hird‘s 59th birthday, there’s an opportunity not to be missed – to look back on a memorable win over this evening’s opponents Brighton & Hove Albion. This victory gave Leeds some short-lived hope of avoiding relegation from the First Division, way back in 1982. This was a match notable also for the ferocious atmosphere generated by a relatively small crowd of 19,831. The attendances at Elland Road had dwindled to little more than the hard-core of true fanatics in what would turn out to be a disastrous season – but on days like this, the reduced numbers bizarrely added to the volume and intensity of support; serving only to magnify the pandemonium and chaos when we scored and won. So it was that one of the best atmospheres ever at Elland Road was reserved for the club’s last top-flight home match for over eight years, as relegation was just a few days away for Allan Clarke‘s men, ending a First Division stint that went back to 1963. But for those few days, it seemed that escape from the drop was possible, as goals from Gary Hamson – a spectacular thirty-yarder – and Kevin “Jasper” Hird, so nicknamed for his uncanny resemblance to Brummie comic Jasper Carrott, saw United come from behind to defeat Brighton. Elland Road rocked, with a noisy mixture of hope and relief. The hope was in vain as it turned out, but this match, this nail-biting comeback, was a fitting swan-song for Leeds who, when they eventually came back, showed that they meant business under Wilko. Watch below as an era ends. On the day that we lost David Coleman, the man who so memorably commentated on Leeds United’s only FA Cup Final success, it was the Cup Final mentality of smaller Yorkshire rivals which, yet again, intervened to make a liar of the formbook. That nagging chip on the underdogs’ shoulders acted to dispense with the gulf in class, which is evident from a glance at the league table, and to produce a result nigh-on as daft as the Barnsley fans apparently celebrating some sort of trophy success at the final whistle. Such evident confusion is perhaps understandable – it’s 101 years since their only piece of real silverware, and even that was upstaged by the loss of the “Titanic”. It was one of those games, a bad day at the office, a match where nothing dropped for Leeds. Choose your cliché and go with it. Ultimately, it all boils down to the same thing: dropped points for Leeds against inferior opposition who simply dared not give less than heart and soul plus blood, sweat and tears, urged on as they were by the rabid hatred their fans bear for the Elland Road club. For Leeds, Matt Smith missed a hat-trick of reasonable chances, and the game rather passed their other recently effective performers by. This enhanced desire on the part of smaller clubs against United is something I’ve written about before, and far too many of the “Yorkshire derby” games follow this same, frustrating pattern for Leeds, costing valuable points that add up to a significant dent in the team’s potential over the season. Huddersfield benefited from the same thing; even Doncaster performed well above themselves last week in losing to United at home. Barnsley, though, are a case in point. This disappointing (for Leeds) goalless draw was actually one of our better results against the men from Oakwell, who apparently view the two games against United as the main part of the season, with the other 44 matches a chance for some not all that well-earned relaxation. The type of performance that Barnsley, as well as several other hotly-resentful Yorkshire clubs, manage to produce against Leeds leaves them open to charges of dishonesty and cheating their manager with the poverty of their displays in other games. Barnsley have been pathetic for most of this season, but you just knew they’d be bang up for it against Leeds. That said, it’s a thing that the Whites simply have to learn to deal with – there can be no excuses, whatever the lop-sided motivation of the opposition, for failing to take full advantage of a poor team. It’s quite probable now that Barnsley will go on to collapse to defeat against their next opponents. After all, that’s what normally happens – look at Huddersfield’s next few results after their 3-2 success earlier in the season. Unless new manager Danny Wilson can inspire his team to repeat today’s determined effort, the delighted Tykes fans can look forward to some Christmas and New Year misery as their knackered heroes ease off into post-Cup Final torpor. None of which helps Leeds; it simply serves further to illustrate the annoying nature of this extremely annoying and inconvenient phenomenon. There were no real winners today; Barnsley’s point leaves them rooted to the foot of the table, whilst Leeds’ failure to grab all three dents their hopes of consolidating a play-off position – even though the league position improved slightly from 6th to 5th. United will hope to get back on track in front of the live TV cameras at6 Blackpool on Boxing Day. It is to be hoped that central defender Marius Zaliukas will be fit enough to play after being clogged by Tudgay, a challenge that saw the Barnsley man receive a straight red card. Leeds will already be without Luke Murphy, suspended after his 5th yellow of the campaign. Allan Clarke, the man who scored that Wembley goal to win the Cup for Leeds in 1972, played for and managed both of these clubs. His presence in either forward line today would probably have resulted in at least one goal, with his clinical ability making some sense out of the hurly-burly in either penalty area. As for David Coleman, the iconic commentator who intoned “Clarke…..one-nil!” on that day over 41 years ago – well, even he would have found it hard to enthuse about this one. A very unmemorable and disappointing day for United – but yet more faux “Cup Final” joy for plucky little Barnsley. David Coleman died today, and with him went another piece of our youth for all those of my generation who grew up listening to him describe Cup Finals, historical athletics achievements and so much more, all in that distinctive, much imitated voice – the voice of the seventies, surely. This video shows highlights of the Centenary FA Cup Final at Wembley on 6th May 1972, a game whose only goal will forever be remembered in terms of Coleman’s memorably laconic description. As the ball winged in from the right, crossed by Mick Jones, Coleman simply intoned: “Clarke ……… one-nil!” There was the implication that a goal followed such a chance for Sniffer as surely as night follows day – and so it most usually did. But this was a special, historic day, the only time to date that Leeds have ever won the FA Cup, and so the commentary has a special resonance, much as Kenneth Wolstenholme‘s did for the World Cup Final of 1966. 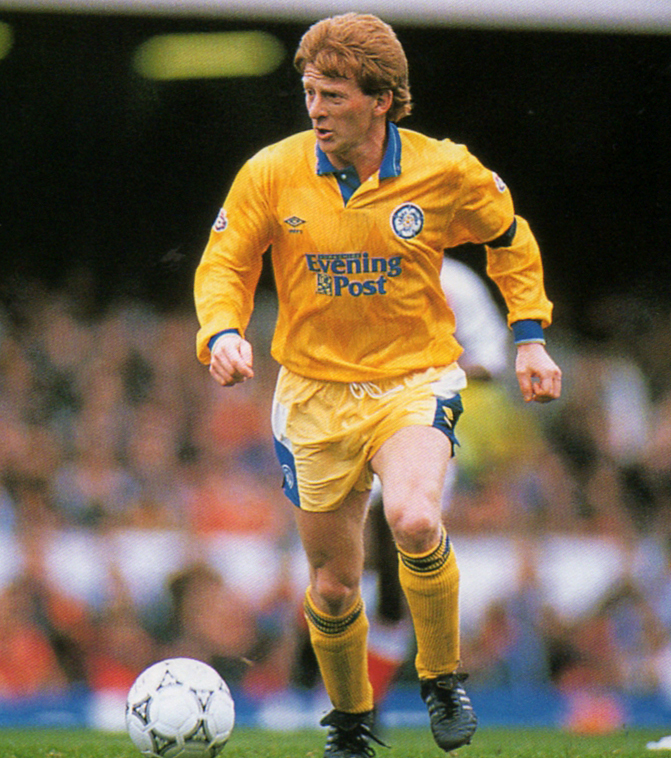 As Coleman recapped the Clarke goal at Wembley that day, he added that it was “an example of the Leeds one-two”. He usually had the right words for any occasion, and his unique voice always enhanced whatever game he was describing. A marvellous commentator and a giant of sports coverage over many years, he even saw a new term introduced into the language courtesy of Private Eye magazine. “Colemanballs” was an affectionate reference to his occasional lapse – and it’s as much a tribute to him as anything else that will be said on this sad day of his death at the venerable age of 87. David Coleman, 1926 – 2013 RIP A sad loss who will be much missed – thanks for the memories. Is Nice-Guy Moyes Starting to “Fergify” Himself? Many good judges are predicting that, with the Alex Ferguson era over at Man U, the club will now struggle to continue with their run of success. By common consent, Fergie was not the greatest coach or tactician out there – his major contribution to the success down Salford way was more to do with his choleric temperament and his habitual intimidation of referees, reporters, players, other managers – just anyone who got in his way, really. The terrifying effect of “The Fergie Factor” made the big difference in a game of fine margins, as a legion of cowed and downtrodden individuals would confirm, if they thought it was safe. But now we have ex-Everton boss David Moyes, and his track record suggests nothing of the talent Fergie had for using tantrums and hairdryer-like bollockings to get his own way. But could it be that the new gaffer is now setting out on the process of reinventing himself? Are we about to see the Fergification of David Moyes? 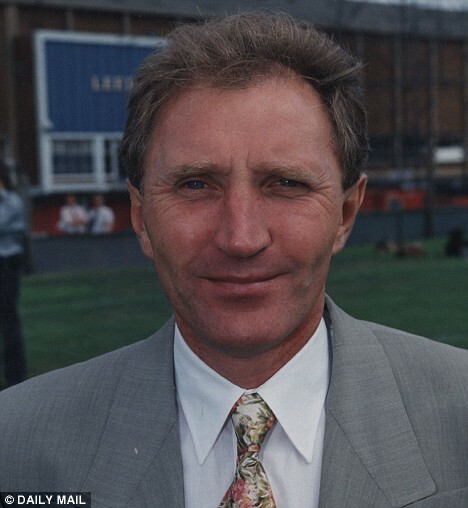 It wouldn’t be the first time that a youngish football manager, with illustrious predecessors inconveniently prominent in fans’ memories, has appeared as a sheep trying to don the clothing of a wolf. Allan Clarke, after an apprenticeship at Barnsley, returned to Elland Road as manager, and immediately started trying to come over all Brian Clough. “I’m a winner!” he would bark whenever a microphone was pointed his way. As a player he certainly was just that, and he’d made a decent start in management too. But as the new boss of Leeds United, following hard on the heels of the hapless Jimmy Adamson in 1979, he was suddenly operating in a goldfish-bowl environment, all eyes trained on him, all ears hanging on his every pronouncement. His “I’m a winner” mantra swiftly made him a laughing-stock among local football writers, and he managed to fritter away the goodwill that had been built up between the club and the reporters by previous managers Don Revie and Jimmy Armfield. Few tears were shed among the denizens of the local Fourth Estate when “the winner” turned into a loser and took Leeds down. The moral would appear to be: Don’t reinvent yourself – just BE yourself. Clarkey had some limited managerial success later on, so maybe he’d learned his lesson. It’s to be hoped that Moyes doesn’t feel he’s under any obligation to reprise his immediate predecessor’s policies of intimidation, or the tiresome “Mind Games” so beloved of a media in thrall to the grizzled and grizzling Glaswegian. One of the many benefits of a Fergie-less football scene – apart from the very real prospect of Man U collapsing amid internal strife and external expectations – should be the chance of a rest from all of the nonsense that went with Ferguson and the way in which all and sundry used to defer to a man who really needed nothing more than a lesson or two in manners and deportment. It seems highly unlikely that the relatively diffident Moyes could carry this tribute act off in the longer term, so surely he’d be better off setting out to stand or fall as his own man – not as some watered-down version of the tyrant he’s replaced. The jokes have been going around along the lines of – oh dear, a nice Man U manager, how very unusual and depressing. But in reality, Man U are in sore need of a bit of niceness at the top level of the club – they’ve had 27 years of the other thing, and have seen their image growing steadily grubbier in the process. 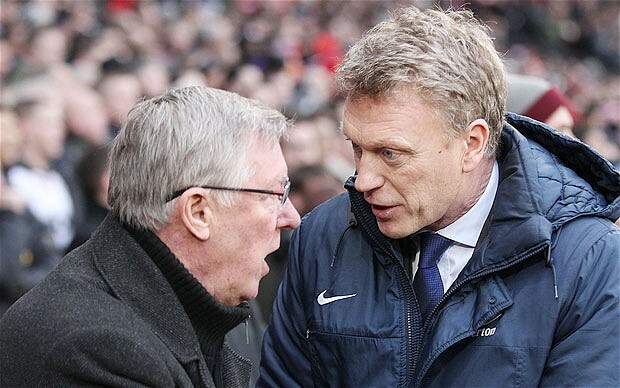 Good luck to Moyes – if that’s who he decides to be. He could be instrumental in reinventing a once-great football club. But if he chooses merely to ape Fergie in his pronouncements and his modus operandi – as suggested by his sulky comments over the opening fixtures – then he’ll deserve all he gets, which would probably amount to a needlessly sullied reputation – and a premature P45.